Tournament time is here, let the madness begin! Will Zion Williamson carry the Blue Devils to the championship, or will Gonzaga shake off a West Coast Conference Tournament loss to finally win it all this year? Will a perennial power like North Carolina go all the way, or is this the year of the dark horse? The 2019 men’s NCAA basketball tournament is up for grabs along with more than $600 in cash and prizes in Portland Bolt’s annual NCAA March Madness Bracket Challenge! 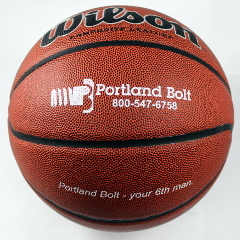 Fill out your free bracket and compete against more than 200 of our customers, vendors, business associates, and employees for a chance to win Amazon gift cards, cool Portland Bolt gear, and the coveted championship trophy. Thursday, March 21st at 12:15 PM ET is our pool’s pick deadline! Portland Bolt is hiring a Production Supervisor and Accounting Clerk! After 30+ years of employment, both our current Production Supervisor and Accounting Clerk are in the process of scaling back their hours and/or preparing for retirement. Do you think you have what it takes to excel as a Production Supervisor or Accounting Clerk with one of the leading fastener manufacturers in the United States? If so, we want to hear from you! To learn more about the positions and to receive consideration for either of these jobs, please follow the submission instructions on the Careers Page of our website. Which standards define dimensions for bolts, nuts, and washers? Mariner’s Bay, a public marina located in Marina Del Rey in Southern California, underwent a complete renovation in 2018. The 371 existing boat slips were to be demolished and replaced by 301 new slips in a location that would be more beneficial for public access and recreation. The new slips for the marina required over 3,000 hot-dip galvanized rods measuring ¾” diameter and ranging in length from 36” all the way up to 25 feet. Portland Bolt manufactured and galvanized all of these products here in our manufacturing facility.